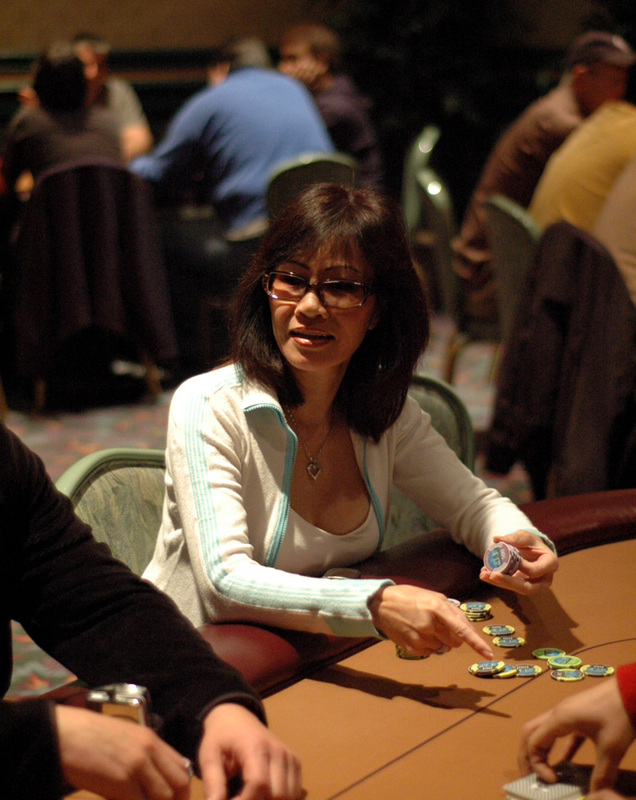 Mimi Tran is a Vietnamese-American poker player who was born in Nha Trang, Vietnam on July 5, 1960. Mimi Tran began playing poker in 1989, when her boyfriend at the time, Barry Greenstein, taught her to play poker and in exchange, Mimi would teach him Vietnamese. They still argue about who is the better teacher, with Barry Greenstein saying he’s the better teacher with Mimi countering by saying it’s only because she’s the better student. Mimi Tran is primarily a cash games player, but she does play in poker tournaments, thanks to the advice of Barry Greenstein. She has done well in tournaments, but has not won any World Series of Poker or World Poker Tour events. She has made it to one WPT final table, and Kathy Liebert made it to that final table as well, making it the only time that the WPT has had two female players at the final table. Mimi has made the money at the WSOP 14 times. To date (January, 2012), Mimi Tran has won more than $1.65 million in tournament winnings. She lives in Los Angeles, California and has two children.